I wasn't familiar with Neal's Yard Remedies until last summer when my mum took me into their Covent Garden branch. As soon as I walked in the door I could tell it was going to become a brand I'd be obsessed with. I didn't go in looking for anything in particular, but as soon as I saw their vast array of lotions and potions, I just knew I needed something. The sales assistant suggested I try their bestseller and all time customer favourite: Wild Rose Beauty Balm, and boy am I glad I did! 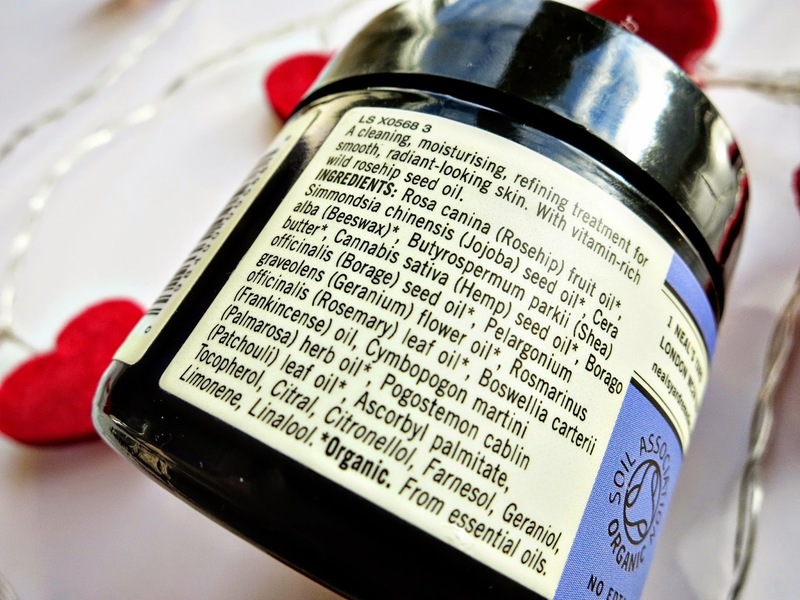 Up until this point, I wasn't familiar with beauty balms at all, so I was intrigued when I found out it had a variety of uses! This product can be used as a rich cleanser, gentle exfoliant or deeply nourishing balm. 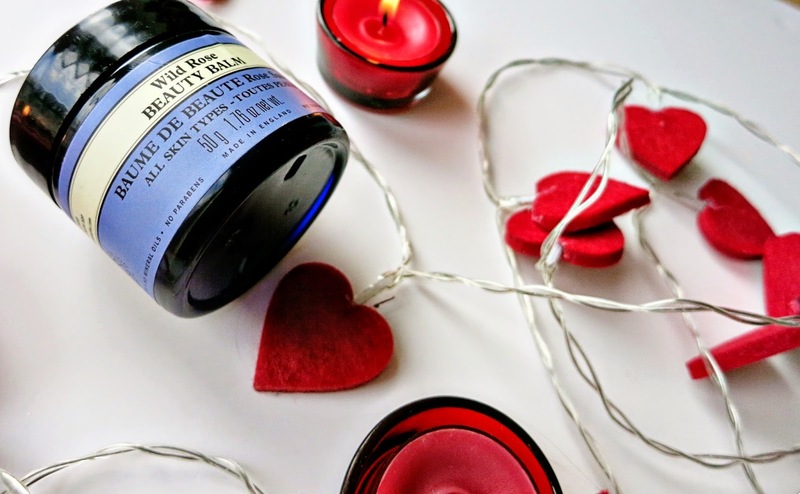 Ingredients include high levels of rosehip oil (which we all know is the messiah of skin care) combined with geranium, starflower, hemp and rosemary oil... "to help decongest and enrich the skin, restoring its natural radiance". 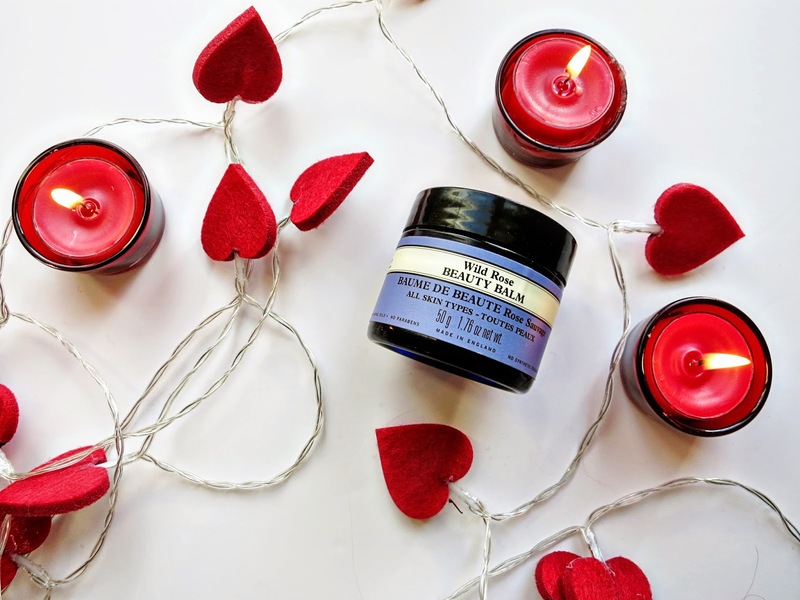 Upon first look the product appears as a hard wax, however after contact with the skin, the warmth of your hands causes it to melt into a luxurious oil, one of the nicest aspects of this balm! I can honestly say, this product has changed my skincare routine for the better! Not only is it perfect for getting every last patch of dirt and grime off of my face, it is extremely moisturising and leaves my skin feeling soft and nourished. My favourite use for this little miracle is as an overnight moisturising mask. When my skin is feeling particularly dry, I slather the balm all over my face and head to bed. By morning, my skin is soft, radiant and feeling a lot less dehydrated. Aside from its traditional uses, this balm works great as a cheekbone highlighter, eyebrow tamer, lip balm, cuticle softener, spot soother, acne scar reducer...I mean, it's a true multi-tasker!! However, at £38 this product does not come cheap, but I do believe it is 100% worth it and will most definitely be making a re-purchase once I get through the rest of my current jar!